I subscribe to the Everygirl blog because I like the articles, cooking tips and beauty tips that they regularly email to me. They regularly have guest writers so I was excited to see the subject of their latest email: "I’m an Everygirl… and I moved across the country." It was a sweet story about a girl who left Central Illinois by packing up her car and driving down to Charleston, South Carolina with no job, no friends, and no real plan in mind. It ended up working out for her because she found a job in her field and (luckily) found roommates and a place on Craigslist without ever visiting. To be fair: we played it a little bit safer than the Everygirl. I spent a month in SF scouting out our life out here and making sure we were going to make the move. Lucky for me, I landed a great job doing exactly what I wanted to do in the startup community here. It took time and effort but it was worth it. I also had my lovable co-pilots for the ride as well. My favorite part of the article is the 40+ comments underneath of adventurers congratulating her and tell their own stories. It reminded me how grateful I was to all my wonderful friends and family in Pittsburgh when Jeff, George and I decided to move across the country to San Francisco. 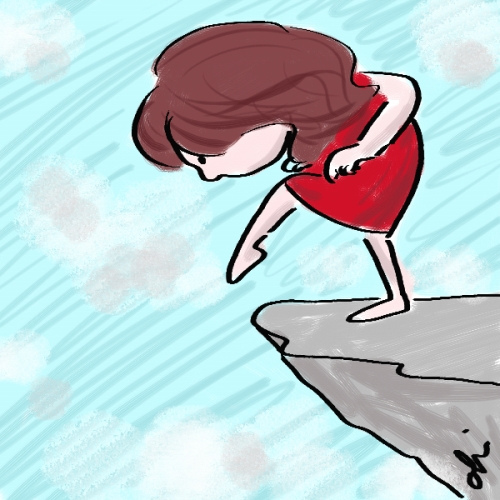 So my advice is: if you are thinking about taking the plunge and moving, do it. We often regret the decisions we don't make, not the ones we do. You'll be surprised how supportive your loved ones will be. p.s. Pittsburgh, I still love you! I'll be back for a visit August 16th- 18th. Can't wait to see everyone!